Need a fresh and bright wreath to brighten a dreary and cold winter? 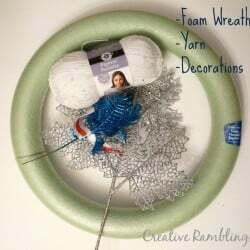 How about a DIY yarn wreath. I am on track to have my Christmas decorations down before the new year, or at least the weekend after. Most of my outside decorations and lights are down and my porch is looking really bare. 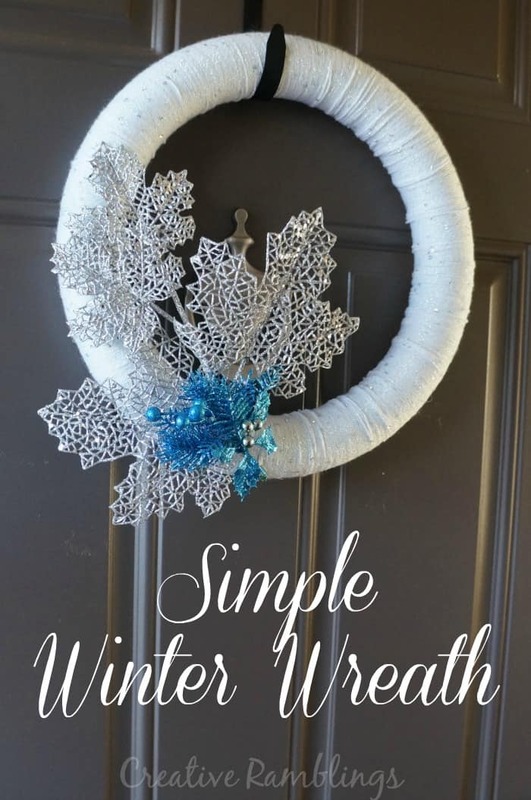 I put together a simple winter yarn wreath this week to spruce up my door and add some light to what will be a dreary winter. 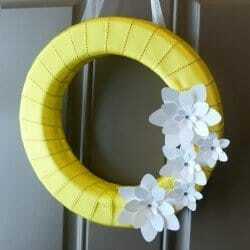 I have made a couple of these types of wreaths, they are just a foam ring wrapped with yarn or ribbon. I like that I can add just about anything to them depending on the season. This is my Spring Wreath from last year. 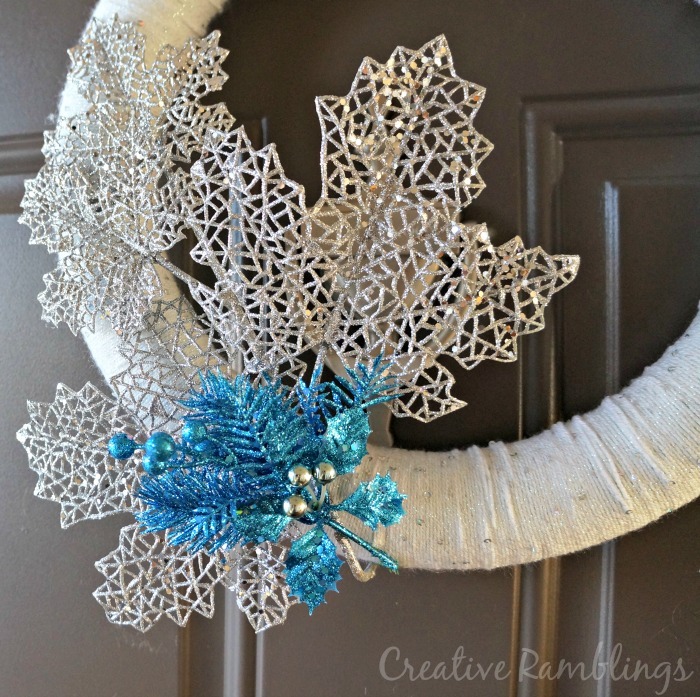 I wrapped this wreath in a sparkly white yarn, then I added a couple of festive picks. I love picking up items like this after Christmas, they were 70% off! I used a little hot glue to attach everything then hung it on my door. This will keep my door looking pretty for a couple of months til Spring rolls around. It’s a great way to add some cheer to an otherwise cold and dreary winter porch. How do you transition from Christmas to winter? Very cute wreath! I never would have thought about using yarn for a wreath. I’m pinning it! I love this Sarah! And I’m totally with you on buying seasonal stuff when it’s on clearance… I went a little Christmas clearance crazy at Walmart today! I’m thinking about doing yarn wrapped wreath for Valentine’s Day. How much yarn did you need for this? So fun, I love clearance shopping! I bought a small ball of yarn and used about half to make the wreath. it doesn’t take as much as you might think. I absolutely love yarn crafts. I did a letter last year!